Wig Out over this interchangeable lightweight goggle with three sets of shatter-resistant polycarbonate lenses, including anti-fog smoke, amber and clear for multiple options while riding day or night. 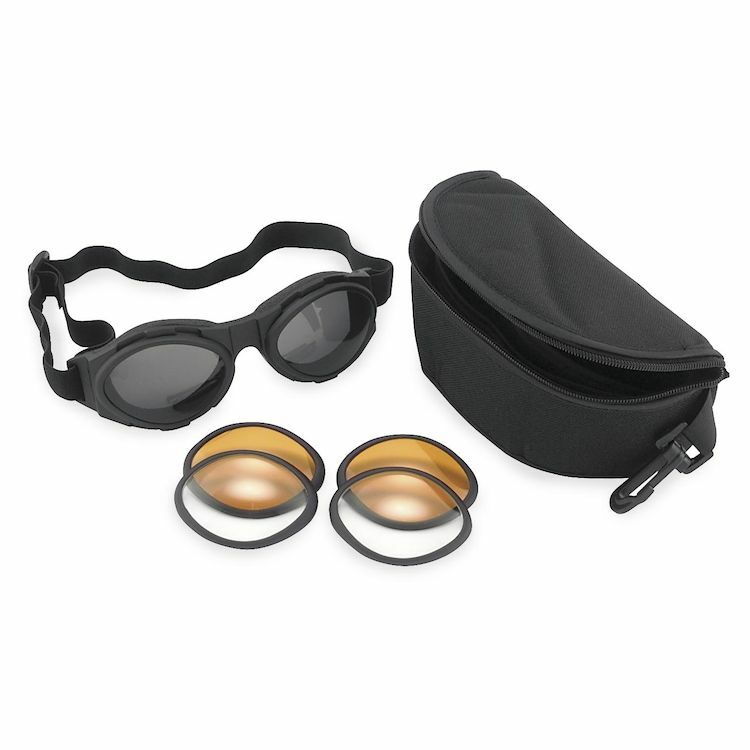 The sturdy polymer elastomer frame contains ventilation ports to prevent fogging while an adjustable strap keeps the goggles snug over the face. This is the ideal extreme sport eyewear with open cell foam around the frame for ultimate eye protection as well. Needed for the half helment. Great item. Looking for a goggle with multiple lens. This one has good reviews.